If you’ve ever used your phone to find the best burger closest to your job, a new app developed by a group of young female coders might feel equally handy. In February, more than 70 young female coders from five international cities came together with one goal: to find inventive solutions to longstanding problems through coding. 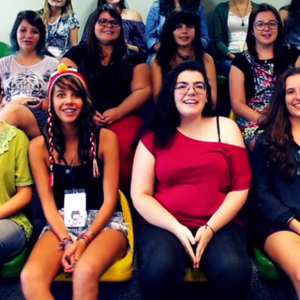 During the International Girls Hackathon a group of Brazilian women, ages 18 to 22, developed “Não Me Calo” (“I Will Not Shut Up”), an app that “lets women review and rank public venues based on the level of safety they provide for women and girls.” The app, billed as a “Yelp for women’s safety” by the hackathon’s organizers, the Global Fund for Women, won the overall competition on Tuesday. “Não Me Calo” uses mapping technology to identify and rank venues that allow gender-based abuse and harassment to persist. This not only allows other women to wisely spend their time and money elsewhere, but also provides useful data that can be presented to business owners and government representatives to combat such treatment.